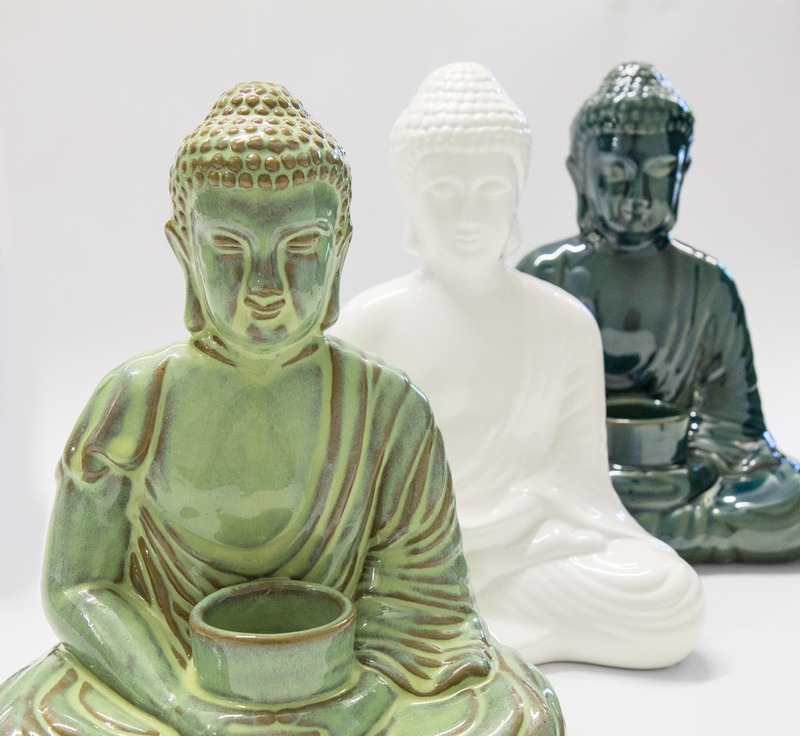 This Dark Green ceramic Buddha takes inspiration from the Far East. 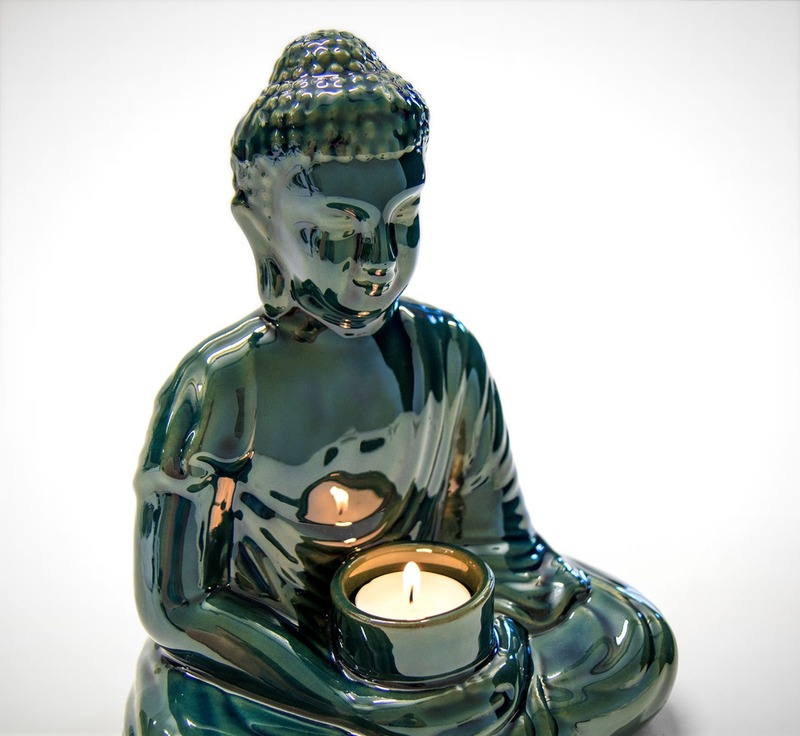 Great piece for adding some zen into your home. 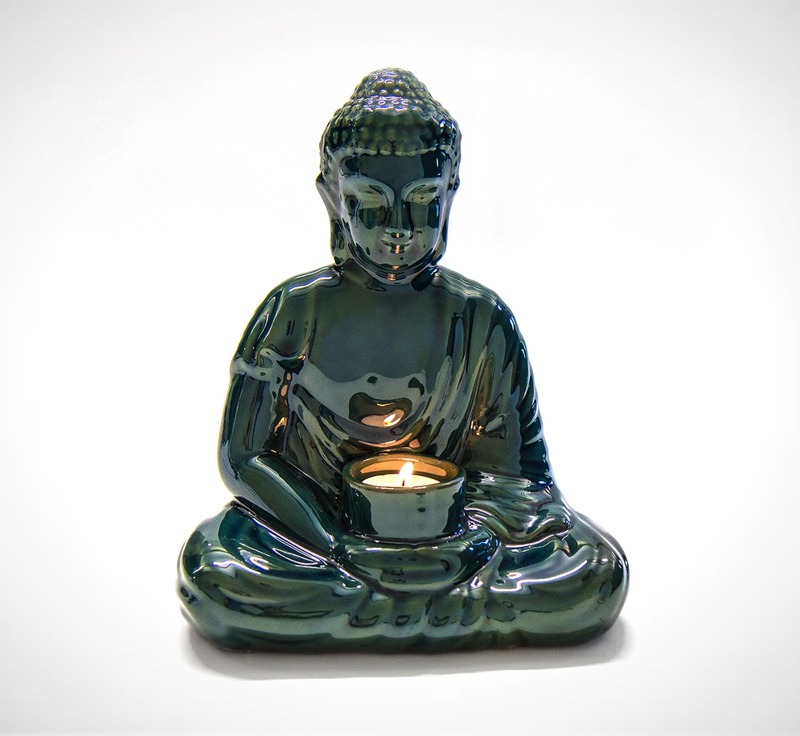 This Buddha peacefully cradles a candle holder perfect for tealights.